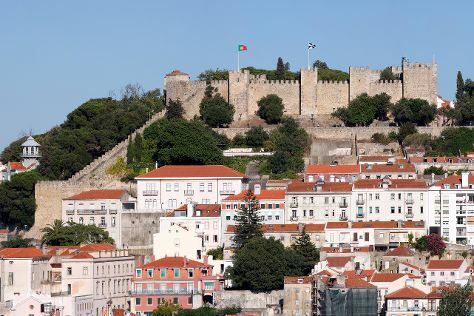 Get a sense of the local culture at Castelo dos Mouros and Park and National Palace of Pena. Give yourself a bit of retail therapy at Museu Calouste Gulbenkian and Rossio Square. Venture out of the city with trips to Sintra (Quinta da Regaleira, Adraga Beach, & more), Cabo da Roca (in Colares) and Arrabida Natural Park (in Setubal). Spend the 1st (Thu) wandering through the wild on a nature and wildlife tour. Next up on the itinerary: contemplate in the serene atmosphere at Jeronimos Monastery, meet the residents at Lisbon Oceanarium, kick back and relax at Costa de Caparica, and admire the masterpieces at National Tile Museum. To find reviews, where to stay, and other tourist information, go to the Lisbon trip itinerary planning tool . If you are flying in from Brazil, the closest major airport is Humberto Delgado Airport (Lisbon Portela Airport). In July in Lisbon, expect temperatures between 34°C during the day and 20°C at night. Finish your sightseeing early on the 9th (Fri) so you can travel back home.